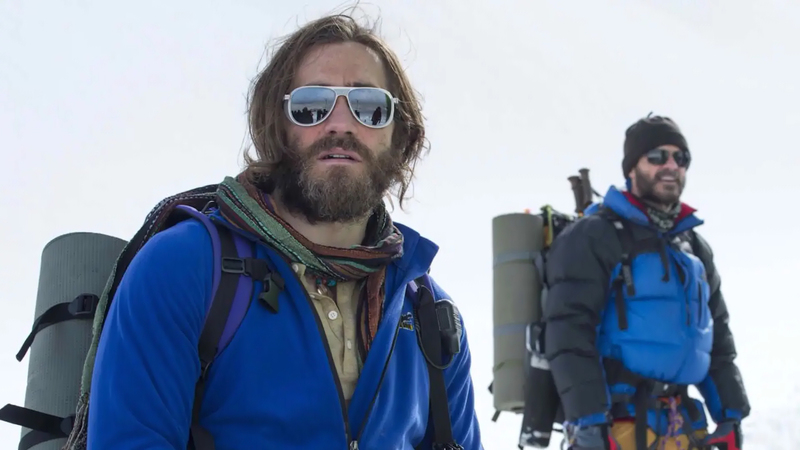 There’s no doubt about it: 2015’s Everest is an amazing piece of work. The film brings to life the emotions and action surrounding the real-life tragic events in 1996 and provides a grueling and heartbreaking look into the Mount Everest climb that claimed the lives of eight mountaineers over 20 years ago. The movie is pretty realistic — and at times hard to watch — but it didn’t even capture all the details of the event. That’s right: The movie about Mount Everest is missing quite a few facts. After watching the movie, we — like so many other people who were intrigued and saddened by the Everest disaster — were curious about what else went down on that fateful trip that is still considered the worst loss of life ever to occur on a mountain on a single day. We found 11 true events that didn’t make it into the movie. Rob Hall (Jason Clarke) actually summited Everest five times before he died on the mountain in 1996, more than any other climber (at that time) who wasn’t a Nepalese Sherpa. Hall’s body remains on the mountain to this day. Rob Hall and his wife, Jan Arnold (played by Keira Knightley), climbed Everest together in 1993. She would have gone again in 1996 but instead stayed at home in New Zealand because she was pregnant. Two months after Hall tragically died, she gave birth to their daughter, Sarah. The above body is commonly referred to as “Green Boots” and also serves as a trail marker. This corpse is believed to be that of Tsewang Paljor, who was a member of the first team of Indians to summit Everest from the northeastern passageway. He was one of the eight who died on May 10, 1996. Because conditions are so dangerous, and there is so little oxygen near the top of the mountain, if someone dies while climbing Everest, there is no safe way to bring the body down. Most deaths are due to an avalanche or falling off the mountain. In the film, climber Beck Weathers (played by Josh Brolin) begins to get blurred vision and can only see a couple of feet in front of him. His vision problems in real life were because of overexposure to ultraviolet radiation on his eyes that had recently undergone radial keratotomy surgery to correct his myopia or nearsightedness.